Although international arrivals to Hong Kong have grown over the last few years, the Hong Kong Tourism Board is seeking to lure more global travelers with a series of videos that highlight the city's lesser-known attractions. Its new "Best of All, It's in Hong Kong" campaign features the city's unique culinary, fashion, outdoor and kid-friendly experiences. 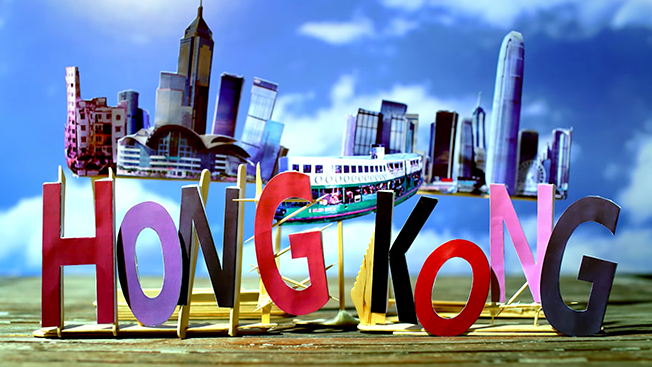 A series of four videos include Michelin chef Umberto Bombana sampling local delicacies and street food; designer Anais Mak shopping at high-end boutiques and local street markets; actor Sean Lau exploring hiking trails on the outskirts of the city and actor Michael Wong taking a family to local amusement parks and aquariums. "By watching these videos, travelers can discover the breath-taking intensity, the surprising contrasts, the rewarding variety and the captivating style this wonderful city can offer," said Hong Kong Tourism Board's executive director Anthony Lau in a statement. "This new brand campaign will take Hong Kong to new heights as a destination by connecting and inspiring people to travel here and experience the best and most authentic Hong Kong moments."